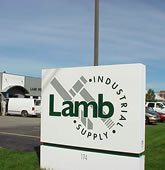 Lamb Industrial Supply is a broad line supplier of facilities maintenance products serving businesses and institutions throughout West Michigan. Lamb Industrial is a distributor of industrial tools with great pricing, personal service, knowledgeable staff, and hassle free return policy. We accept Master Card, Visa and Discovery credit cards. Most of our Products are Industrial Quality Made in the USA! Lamb Industrial Supply is a MRO distributor (Maintenance, Repair & Operations of goods and services). 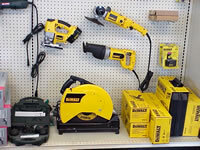 We sell abrasives, air line equipment, air tools, bandsaws, casters, clamps, cordless tools, drill bits, drill press, fasteners, saw blades, hand tools, lubricants, milling machines, power tools, precision instruments, taps, dies, end mills, belts, vises, and much more. Friendly Personal Service with same day free local delivery and with in-stock merchandise 24-hour shipping via UPS. 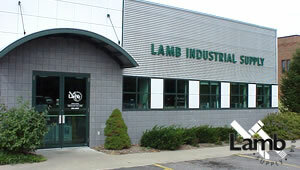 Lamb Industrial Supply Company Is Located in Holland, Michigan.